In just a few short years, the Ultimate Fighting Championship (UFC) has gone from a niche sport to a mainstream phenomenon. And during that insane growth spurt, the UFC has had a whole lot of ups and downs. However, mixed martial arts (MMA) has never seen a year as dramatic, confounding, and just plain crazy as 2016. Up until recently, the UFC has been dominated by super-champions, invincible fighters who destroyed everyone in their way. But that started to change in 2013. With the defeat of Anderson Silva and the retirement of Georges St-Pierre, both the middleweight and welterweight divisions were up for grabs. Things got even crazier in 2015, when Jon Jones was stripped of his light heavyweight title, and both Ronda Rousey and Jose Aldo were knocked out in spectacular fashion, upsetting two separate weight classes. But in 2016, things got really wild. Over seven months, seven champions were overthrown, five of whom were beaten in the first round. 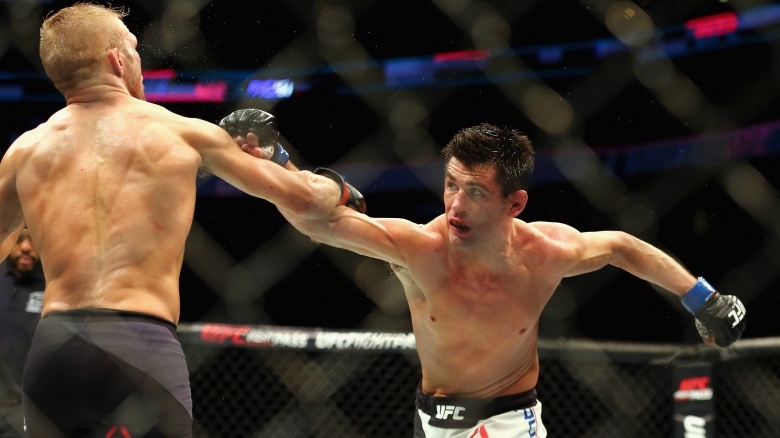 In January, T.J. Dillashaw, a phenomenally skilled fighter, met his match in Dominick Cruz (pictured above). In fairness, Cruz wasn't an underdog — in fact, he was the UFC's very first bantamweight champ, but he was forced to give up his title due to injuries. But when he finally returned, Cruz used his impressive footwork and head movement to win the belt from Dillashaw in a razor-thin decision. Then firefighter-turned-professional fighter Stipe Miocic dropped heavyweight champ Fabricio Werdum at UFC 198. Lightweight Eddie Alvarez and welterweight Tyron Woodley utterly destroyed their respective foes, Rafael dos Anjos and fan favorite Robbie Lawler. Then, after defeating the seemingly invincible Ronda Rousey, Holly Holm lost her first title defense to Miesha Tate. Holm lost control of the fight in the fifth round, and blacked out after Tate sunk in a rear-naked choke. One of the most inspiring MMA stories of 2016 so far is the tale of Michael Bisping. For a long time, many people considered Bisping a has-been, but in February, the Englishman turned the world upside down after becoming the second man ever to defeat Anderson Silva in the Octagon. That impressive victory put him in just the right place when Chris Weidman pulled out of a scheduled bout against middleweight champ Luke Rockhold. The stars had aligned perfectly for Bisping. He'd faced Rockhold once before and had lost to a devastating guillotine choke. The tension was palpable as the two fighters headed into a rematch, and almost everyone expected Bisping to lose. But when the men stepped into the ring, the Englishman knocked the American out in the first round, thus becoming the first British champ in UFC history. Shortly afterward, Bisping defended his belt in one of the most exciting fights of 2016, facing off against long-time rival Dan Henderson. In just one year, Bisping had gone from underdog to alpha dog. Of course, we can't forget Amanda Nunes. After Miesha Tate defeated Holly Holm at UFC 196, she was set to face Nunes at UFC 200. As we'll discuss later, 200 was one of the biggest disappointments of the year, but the women's bantamweight title fight made up for some of the other stinkers on the card. In the first round, Nunes beat Tate into oblivion with a flurry of punches before finally submitting her via rear-naked choke (the same move Tate had used to defeat Holm). Nunes had become the third champion since Ronda Rousey's defeat and, more significantly, she became the first openly gay champ in UFC history. In the 1990s, the UFC was in trouble. Since it lacked rules, many government leaders considered MMA events the equivalent of "human cockfighting." During this period, pay-per-view companies were urged to stop promoting the sport, and that's why the UFC founders were excited to sell their organization for $2 million in 2001. The buyers were Frank and Lorenzo Fertitta, brothers who were big in the casino business, and who saw potential in the fledgling fight organization. 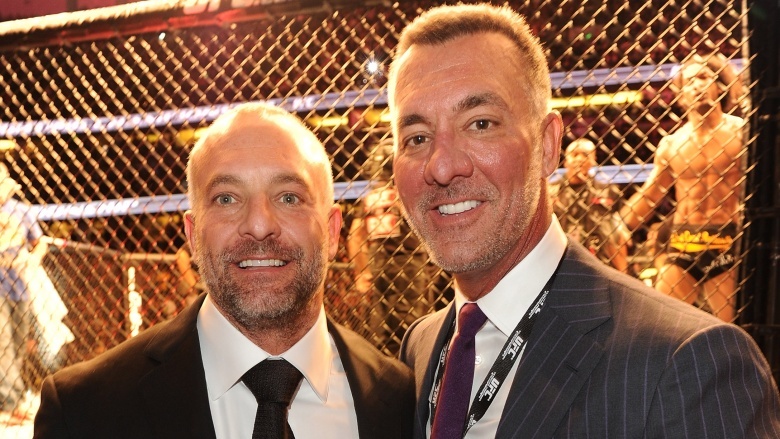 Under their promotion company, Zuffa, the Fertittas revived the sport with a reality TV show called The Ultimate Fighter. On top of that, athletic officials and key UFC figures began working to clean up the sport and enforce stricter rules. Thanks to the Fertittas' efforts, the UFC soon gained legitimacy and respect, and now airs in over 150 countries. But in 2016, the brothers decided it was time to cash out — in July, they sold the UFC for a whopping $4 billion. With that hefty price tag, the Fertittas had just made the biggest sale of any franchise in sports history. The UFC now belongs to WME-IMG, a talent agency partly run by Ari Emanuel. Naturally, with new owners, there have been several interesting developments in the last few months. Emanuel recently brought in a whole host of celebrity investors, such as Ben Affleck, Conan O'Brien, Serena Williams, and Venus Williams. The agency has also fired a staggering number of employees. In October alone, the UFC cut a little under 15% of their workforce. On top of that, key players like matchmaker Joe Silva have voluntarily left the organization. This kind of change is normal for any business when new owners arrive, but fans are interested to see how WME-IMG will respond to pressing issues like fighters' health, unionization, and better pay. While the UFC can put on a good show, it has a checkered history when it comes to the media. 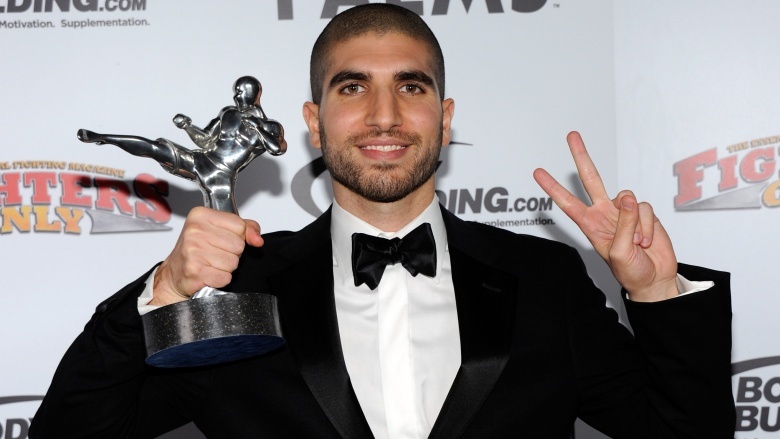 For proof, look no further than Ariel Helwani. Considered by many to be the best MMA journalist today, Helwani has often found himself at odds with the UFC brass. But things really got out of control on Saturday, June 4. In the lead-up to UFC 200, Helwani learned that ex-heavyweight champion and WWE superstar, Brock Lesnar, was returning to the Octagon. Like any good reporter, Helwani broke the story, but this didn't sit well with UFC officials. It seems they wanted to reveal the news first, so in retaliation, Helwani was banned from covering any more UFC events, ever. Adding insult to injury, Helwani was given the bad news while he was covering UFC 199. As a result, he and two coworkers—photographer Esther Lin and videographer Casey Leydon—were kicked out of the stadium before the main event. Obviously, the MMA community wasn't pleased. Many high-profile fighters like Jon Jones, Daniel Cormier, and Chris Weidman rushed to Helwani's defense. News organizations like the Los Angeles Times, The Washington Post, and Sports Illustrated loudly denounced the UFC, and after Helwani tearfully recounted his story on his popular podcast, The MMA Hour, fight fans absolutely lost their minds. Evidently, the pressure was too much, and by Monday, the UFC had reversed its ban. Conor McGregor is basically the Irish Muhammad Ali: cocky, flamboyant, and quick with the quips. Plus, he's an incredible fighter. In December 2015, McGregor shook up the world by defeating featherweight champion Jose Aldo in 13 seconds. 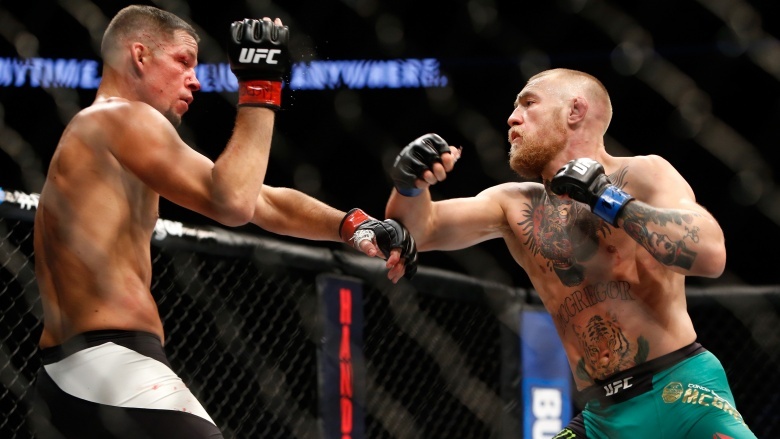 It seemed like the Irish star was untouchable … until Nate Diaz came along. After becoming the new champ, McGregor wasn't much interested in defending his title. Instead, he wanted to become the first person in UFC history to hold two belts at once. Eyes set on the lightweight title, McGregor was scheduled to face champion Rafael dos Anjos at UFC 196. Unfortunately, less than two weeks before the match, dos Anjos broke his foot. That's when the UFC replaced the bigger champ with lightweight contender Nate Diaz. Since Diaz only had a few days to prepare, he didn't have enough time to properly cut weight, so McGregor agreed to a welterweight bout. The lead-up to the fight saw McGregor unleash a flurry of colorful insults but, unlike his previous opponents, Diaz was unfazed and responded with his own string of obscenities. And when fight night came around, Diaz shocked everyone by submitting McGregor in round two. This was McGregor's first defeat in the UFC, and he wanted an immediate rematch and, so there would be no excuses, he demanded the fight be held at welterweight again (even though neither guy regularly fights at 170). Originally, the match was meant for UFC 200, but it was later moved to UFC 202. In the week before the bout, the two rivals made headlines by hurling Monster cans and water bottles at each other during a press conference. But there's no such thing as bad press. 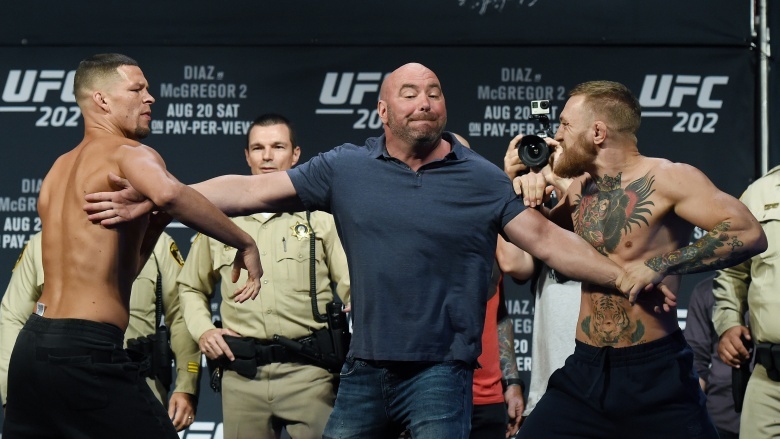 UFC 202 became the biggest pay-per-view event in the promotion's history, and thankfully, McGregor and Diaz put on one of the most exciting fights of the year. After five bloody rounds, the Irishman won the victory by majority decision, a verdict that could set up a potential trilogy fight later on. UFC 200 was supposed to be the greatest MMA event of all time — it was billed as the "biggest, baddest card ever." In fact, the event was so special, the Octagon was equipped with a new golden canvas. 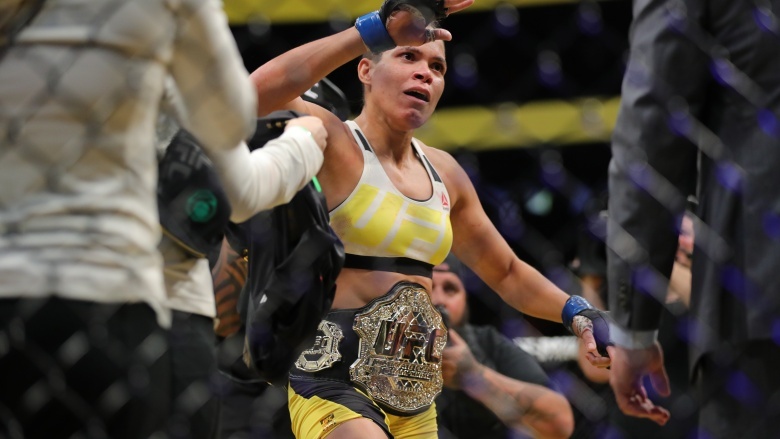 And while yes, Amanda Nunes would become the new women's bantamweight champion, it seems that almost everyone else on the card was cursed. Next, the card fell on the shoulders of Daniel Cormier and Jon Jones. These light heavyweights had fought before in 2015, but a lot had changed since their first showdown. Jones had been suspended and stripped of his title after fleeing the scene of a hit-and-run, and Cormier had won the belt in his absence. Now, the two were set for a rematch, but it was cancelled two days before the event, as Jones was flagged for a potential doping violation. With Jones out, Cormier was set up against Anderson Silva, a fading legend who'd recently undergone gallbladder surgery and hadn't trained at all. The fight went about as expected, with Cormier dominating most of the fight, but Silva was given a standing ovation for his valiant performance. 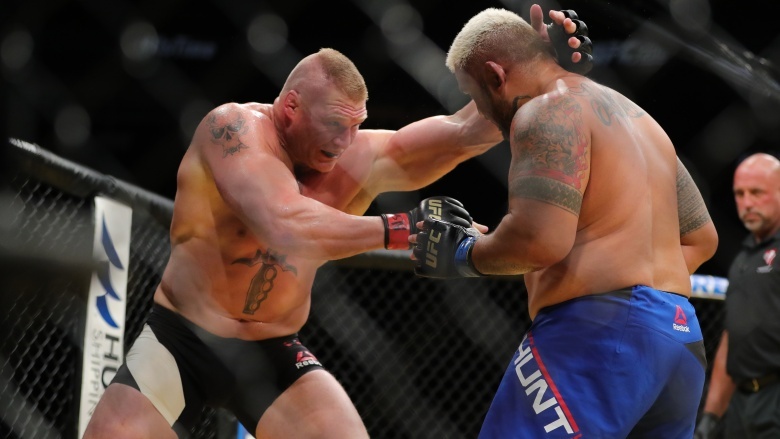 Afterward, fans were excited to watch ex-heavyweight champ and WWE legend Brock Lesnar face knockout artist Mark Hunt. The wrestler won by decision, but the match was tarnished after Lesnar was also flagged for a potential doping violation. While there were a few good moments on the card, it's safe to say that UFC 200 failed to live up to all the hype. The UFC is home to the best fighters in the world. Only the cream of the crop can step inside the Octagon. Well, that's what they say, but it's not always the case. In 2014, the UFC signed a contender who had absolutely no fighting experience whatsoever … well, not real fighting experience anyway. Their new star was none other than ex-WWE champ, Phil "CM Punk" Brooks. Despite his lack of experience, Punk was serious about his new career, joining forces with Duke Roufus, the renowned Wisconsin coach who instructs ex-lightweight champ Anthony Pettis. Unfortunately, Punk's trip to the Octagon was anything but easy. In 2015, he injured his shoulder, and in early 2016, he had to undergo surgery for a herniated disc. Both times, his debut fight was shoved further and further back on the calendar. But eventually, a now 37-year-old Punk was ready to fight at UFC 203. Coincidentally, his first MMA fight would take place in Cleveland's Quicken Loans Arena, the very same stadium where Punk gave up his WWE career. Punk was facing an up-and-comer named Mickey Gall who only had two bouts to his name, but that was two more than Punk had. Gall was also a brown belt in jiu-jitsu, and in a matter of minutes, he forced Punk to tap out. Disappointed but not disheartened, Punk gave an inspirational speech after the match, encouraging his fans to always "go big or go home." 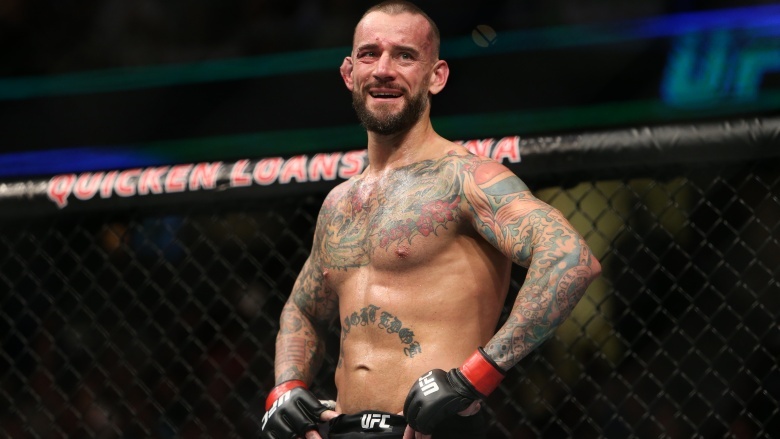 Sadly, Punk may never get another chance to throw down inside the Octagon, as UFC president Dana White recently said the WWE wrestler should probably think about fighting elsewhere. As we mentioned earlier, the UFC was a different beast in the '90s. Fighters could do anything from pulling hair to groin kicks, and it was this brutality that led Senator John McCain to declare war on the UFC. Thanks to the Arizona senator, professional MMA was outlawed in 36 states. However, as the sport evolved, every state in the union legalized mixed martial arts … except New York. For nearly 20 years, professional MMA was illegal in New York, which was upsetting for fans who dreamed of watching a UFC fight in Madison Square Garden. However, in March 2016, the New York State Assembly changed its mind and ended the MMA ban. Soon, the UFC was working on a fight card for Madison Square Garden and, according to many people, it just might be the greatest event in MMA history. Barring any surprises, UFC 205 will feature four current champs, four ex-champs, and a host of fan favorites. There will be three title fights, including a strawweight match between Joanna Jedrzejczyk and Karolina Kowalkiewicz and a welterweight fight between Tyron Woodley and Stephen "Wonderboy" Thompson. Other amazing fighters like Frankie Edgar, Rashad Evans, Khabib Nurmagomedov, and Donald Cerrone will also appear, but the highlight is definitely the main event. 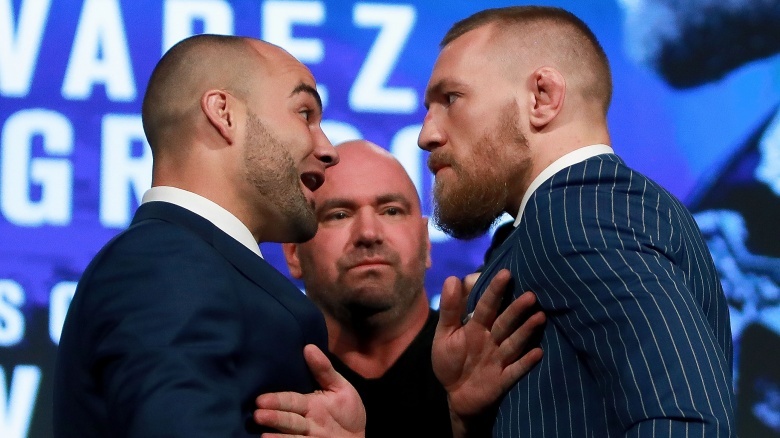 UFC 205's main will pit featherweight champion Conor McGregor against lightweight champion Eddie Alvarez. It's a legitimate superfight, and there's a good chance that history will be made on November 12. If McGregor wins, he'll become the first person to ever hold two UFC belts at once. Of course, Alvarez might be the most dangerous opponent he's ever faced. An experienced wrestler and two-time Bellator champ, Alvarez will definitely have the upper hand if the fight goes to the ground. But on the feet? It's anyone's game. It will also be interesting to see what will happen if McGregor wins. He's promised to give up one of his belts … but which one? Georges St-Pierre (GSP) is one of the all-time great fighters. A two-time welterweight champ, St-Pierre was unbeaten from 2008 to 2013, but after a bloody victory over Johny Hendricks, St-Pierre decided to call it quits. 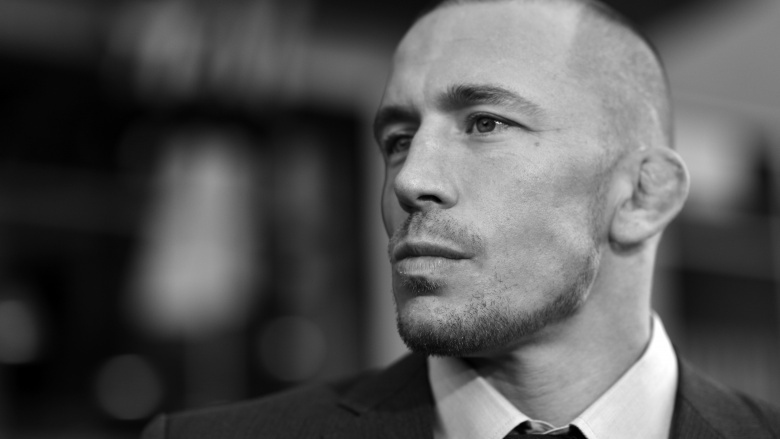 There were several reasons GSP decided to retire—namely his struggles with OCD and his frustrations with the UFC's previously lax drug testing program—and many believed he would never return. Then in June 2016, GSP declared he was ready to come back. Many hoped he would fight at UFC 206 in Toronto, but strangely, the UFC is in no hurry to get him back. The new WME-IMG managers told St-Pierre it would cost too much money to "reintroduce" him to the public after his absence, and Dana White claimed GSP doesn't have the heart to compete anymore. Frustrated, St-Pierre recently claimed to have terminated his UFC contract and become a free agent. Of course, the UFC disagreed and said GSP needed to fulfill his legal obligations to the company. By … not fighting, apparently. So what's the root of this feud? Well, it has to do with GSP's contract. After St-Pierre left, the UFC made a deal with Reebok, forcing fighters to exclusively wear Reebok gear during fight night. This prevents athletes from wearing sponsored logos which would bring in serious cash. Before St-Pierre retired, he had deals with Gatorade and Under Armor, sponsors who paid big bucks. GSP doesn't want to lose that money, so he's hoping to negotiate a new contract so he can earn what he deserves. But so far, it seems the UFC has been pressuring him into accepting a lesser deal. As of this writing, it looks like the two parties are at a standstill. 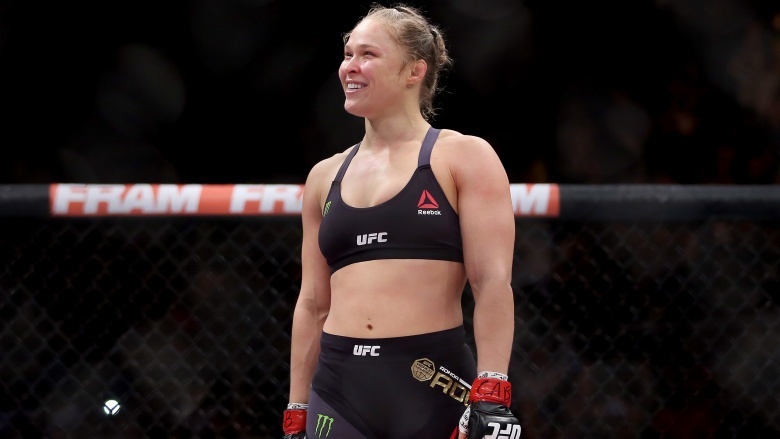 Ronda Rousey is the biggest celebrity in UFC history. She's appeared in movies like Furious 7, hosted Saturday Night Live, and appeared on programs like Ellen. She's a genuine breakthrough star, and she's also one of the baddest fighters on the planet. As the first UFC women's bantamweight champion, Rousey defended her title six times, finishing all of her opponents but one. Amazingly, Rousey only spent 24 minutes inside the Octagon, because she was that good. If you added up the amount of time it took Rousey to defeat her last four opponents, you'd get a grand total of 130 seconds. Rousey genuinely seemed unstoppable, so it was shocking when Holly Holm knocked her out with a head kick. After the loss, Rousey went into seclusion, avoiding the media for quite some time. When she finally emerged, she admitted to having suicidal thoughts after losing the belt. Over the past few months, people have wondered if Rousey would ever return to the ring, or if her fighting days were over. Well, we got our answer in October, when it was announced Rousey would face the new champion, Amanda Nunes. The two women will square off at UFC 207 on December 30. By then, it'll have been over a year since we last saw Rousey in action, and everyone knows Nunes is a monster with solid striking. But Rousey is an armbar machine, so while some critics question her abilities, they do so at the risk of looking incredibly stupid in just a few weeks. Regardless of who wins the upcoming match, a Ronda Rousey fight is a great reason to get excited about MMA, and it's further proof that 2016 is the craziest, most exciting year UFC's ever had.